Today politics prevailed. The interests of the people were laid aside with SB210 allowing a state department to continue ducking the public's questions and the legislature's authority. Our countdown clock continues and will remain at the top of our page awaiting DESE's response to at least some of the questions the public has about Common Core. We may never get answers to the conflicting comments we have heard about common core. 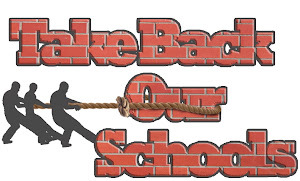 The National Governor's Association and common core proponents in general site a main reason for having common standards is so that children moving from state-to-state, district-to-district will not experience an interruption in their education. There will be no subject matter holes because everyone is being taught the same thing. Yet when pressed, DESE insisted in front of a House Committee that Missouri owns the standards and can change them at any time. In fact, all states can, and have, changed the standards. That, by definition, would mean that the standards are no longer "common" among the states and a child would once again experience an interruption in his/her education should he/she move. This would also make the state’s standards out of line with the assessments. So which is it: alignment state-to-state or autonomy to set one's own standards? DESE staff stated that some schools have been implementing Common Core for 3 years and have shown "tremendous results." How are they calculating these tremendous results? This statement is impossible to make as no common core assessments have been approved or administered. If the results are found in the existing MAP assessment scores, how is that possible? Those tests are not aligned with common core. What is actually being measured? If we are seeing improvement in an existing test, why do we need SBAC tests? The indication from states who were early adopters of CC like Kentucky, is that following curriculum aligned with CC produced a 30% drop in student scores on existing state standardized tests. How are we not seeing a decline, but in fact an improvement? DESE has stated that they do not share data with the federal government, that it stays in state. But the MOU’s signed by the state with the Smarter Balanced Assessment Consortia (SBAC) in May 2010 states the consortia will provide “Reliable , valid and fair scores for students and groups that can be used to evaluate student achievement and year-to-year growth; determine school/district/state effectiveness for Title I ESEA…10) Professional development focused on curriculum and lesson development as well as scoring and examination of student work…. 14) A consolidated data reporting system that enhance parents, students, teacher, principal district and state understanding of student progress toward college and career readiness.” SBAC is housed in Washington state. This means that individual student data will be retained by SBAC who in turn has an agreement with the US Dept of Ed that says it will “Comply with, and where applicable coordinate with the ED staff to fulfill, the program requirements established in the RTTA Notice Inviting Applications and the conditions on the grant awarded, as well as to this agreement, including, but not limited to working with the Department to develop a strategy to make student level data that results from the assessment system available on an ongoing basis for research, including for prospective linking, validity and program improvement studies; subject to applicable privacy laws.” The reality is that once the data leaves the state we no longer have control of where it goes and who has access to it. Changes to FERPA (the laws they are referring to) means there is little appreciable protection of that data. Commissioner Nicastro has said that it is not costing the state any new money to implement common core. She further testified that the reason the RTTT costs were so high was because that application was for a Cadillac program that we were not fully implementing, because we did not get the grant. However, in that grant (p. 40) she wrote “Implementation of the reform plan described in this proposal will not stop if the State does not win Race to the Top funding. Missouri has a long tradition of fostering innovative improvements in education, and this will not change. Race to the Top funds will allow the State to move forward aggressively and comprehensively in adopting these reforms. In the absence of Race to the Top funding, the State and its partners would continue moving forward but will do so over a longer time-period and, in some areas, will have to adopt a more incremental approach." There are so many more questions which, if answered, would at least provide some clarity as to our direction. Unfortunately, DESE does not seem to believe it is worth their time to provide those points of clarification. They miss the opportunity to have the public on their side and the legislature providing cover for them from the feds. Keep your eye on the answer clock. It looks like it will be here for a long time. So disappointing. The government needs to add common core to their long list scandals. Let me guess, the pro common core audience is asking... What scandals?! Very sad that the Rep from St. Louis County felt the need to insult anyone who questioned any part of CCSS. Made statements implying we are all nuts. She was loud, rude, and wrong. She stated all questions were answered at the DESE meetings which was completely wrong. We were told very clearly that no questions would be answered during the meeting. So far none of those questions have been answer to this day! Monticello was shrill, inaccurate and condescending whereas Bahr was calm, polite and successful in bringing the discussion back on point. There were a few things I wish he had said, like the fact that she was lucky to be privy to private information that DESE has not shared with the public because no one else, including the House's budget committee has any idea what Common Core will cost. Or that her district was lucky to have had "numerous" DESE meetings on CC, whereas other district's school boards to this day know nothing about CC and still more cannot get answers to their questions asked directly of DESE. Was it really a filibuster or trash-mouthing against a majority consensus that we need answers. Rand Paul went on for hours, speaking about things pertaining to the constitution, and had no results. This took how long, and the bill was trashed? I would NOT ACCEPT THIS! I WOULD TAKE LEGAL ACTION AGAINST THIS! The threatened filibuster was legal and is a reminder to everyone about the inherent weaknesses in our political system. A filibuster mid session would have been survivable. One that hit with an hour to go in the session when there were many other bills that could be passed was not and that was why Sen. Lamping so quickly withdrew his motion to pass. It gives one or two people tremendous power to kill legislation. The prevention for this is to get your bill heard sooner. The responsibility for this lies with the bill sponsor and we repeatedly tried to get this moved up throughout the legislative process with only marginal success. So, it can never come up again? Also, Thank you for your reply. If it cannot come up again,it seems the massage needs to be more widespread now, which we know, and it needs to be directed at revealing CC in a shocking manner (not hard to do!) fact based and legally attacked, IMO. 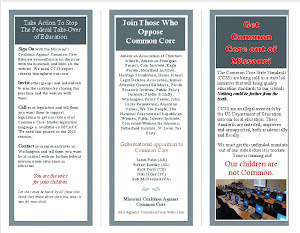 The MO Coalition Against Common Core had planned to continue its work to educate the public about CC regardless of what happened with SB210. That legislation, while helpful, was not the final goal. While the legislature is out of session we will be talking to groups all across the state and legislators so that when next session opens we have bills that address our issues head on. There are many actions that can be taken at the state level and locally. 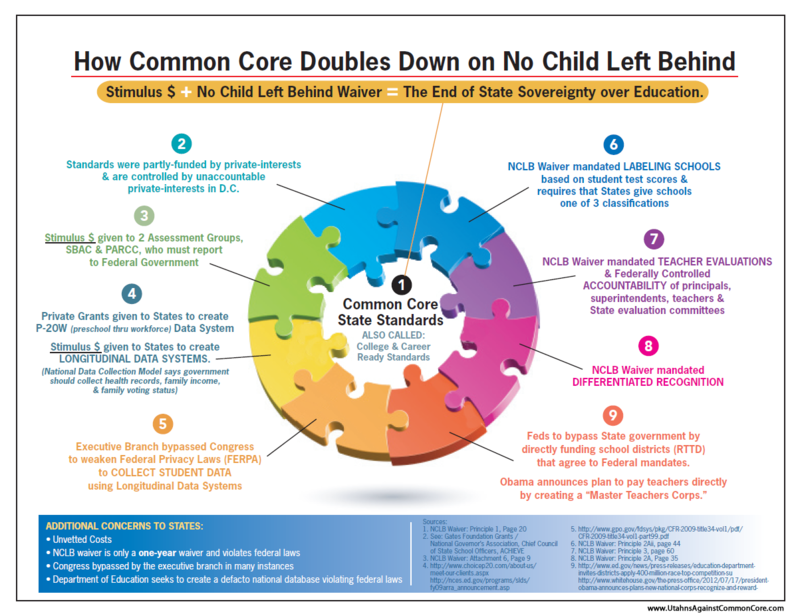 Keep watching MOAgainstCommonCore.com to see what plans are progressing.